The SircleLam LA-330 is a 13" pouch laminator ideal for any office or production environment. Designed with a dual heating system that features both hot shoe and hot plate technologies, the LA-330 provides a perfect seal for 3-10mil pouches. Its variable temperature control incorporates a hot temperature as well as a cold temperature setting to allow for the lamination of temperature sensitive documents. The back to front paper feed allows for a more efficient and effective lamination process. 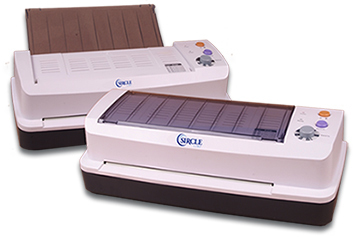 Sircle is so confident in the quality and reliability of the SircleLam LA-330 pouch laminator, we are offering a 2 year warranty on this machine.